As we hit the ice full speed for the season, I was recently reminded of one of the best rewards from our summer hockey camp, and it’s not at all what I would have imagined, or you might think! 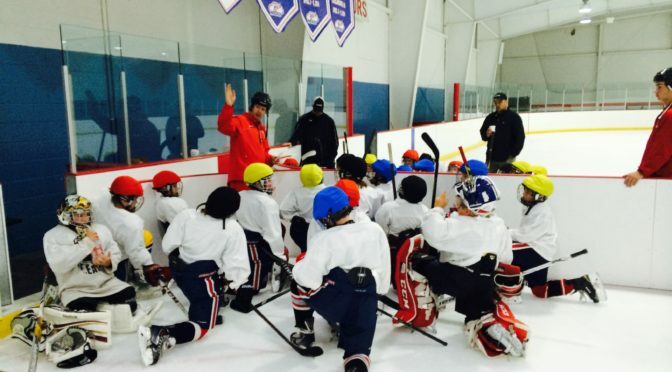 Having played hockey for nearly my entire life – youth, collegiately and in the ECHL – and more recently running our hockey camp for the past two decades, I have met virtually every ‘category’ of player. There are the players who have all of the talent in the world, but never figure out how to dedicate themselves and put it to good use, resulting in shortened careers. There are the players who have all the will in the world, but at a point in time run out of the skill needed to make it to the next level. And of course a million other ‘categories’ of players including those who just want to have fun, meet friends and enjoy the camaraderie and teamwork. But every so often you meet a player who is as good of a person off of the ice as they are a hockey player on the ice. Nothing is more refreshing than a player who can go out and score a hat trick, lead the team in points all season and is at the same time respectful to coaches and officials, a great student and maybe even volunteering to help others in the community. What is even more refreshing, and rewarding, is when as a coach and instructor, you have had the opportunity to watch this player grow throughout their career knowing you have had a hand in helping shape such a well-rounded individual, both on and off of the ice. This past summer I had the pleasure of welcoming back a couple of players who grew up participating in our programs and our summer hockey camps. Both will be playing Division I hockey this year for a storied program that ‘wins’ as much in the classroom as they do on the ice. One will be a captain as an underclassman after leading his team in goals last year. These two players skated with our youth players and it turned out to be one of the most memorable and rewarding weeks of the summer. When they arrived everyone knew who they were and that they were great hockey players. They didn’t have to say please and thank you to everyone they met, but they did. They didn’t have to interact, smile, laugh and try to help every player on the ice, but they did. They didn’t have to pull a struggling skater aside for extra edge work, but they did. They didn’t have to tell stories to every kid that asked about playing college hockey, but they did, because not too long ago it was them looking up to someone, asking those same questions! Character is critical in hockey, and I was reminded of this watching these two at camp this past summer. We’ve said in past articles that “talent gets you noticed, but character gets recruited.” It was extremely rewarding – and inspiring – as I watched these two at camp to know that yes, they became great hockey players, but even more importantly, they became incredible young adults. As you go through this season and strive to win every puck battle, every shift, every period and every game, keep in mind that the very best players, especially in the game of hockey, are also great off of the ice. Respect your coaches, teammates, officials, parents and teaches, and most of all, respect the great game of hockey. I can tell you that after spending more than four decades in hockey that if you do this, you will be remembered, and rewarded, for the rest of your life! Thanks for reading and we look forward to seeing you at the rink soon!